When 15-year-old Angelina Arora started investigating bioplastics almost two years ago, she never imagined her investigations would earn her world-wide attention. 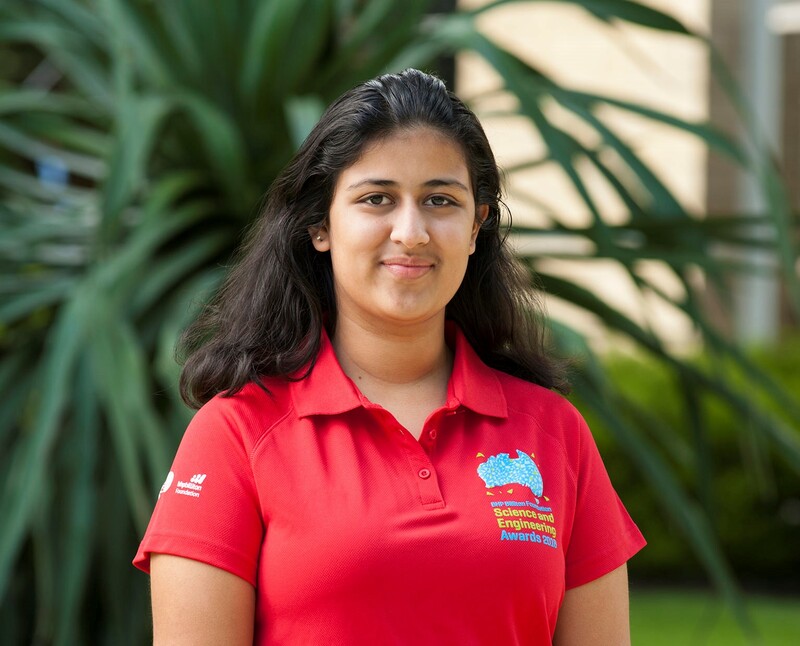 Now, Angelina and her shrimp bioplastic will be representing Australia at the Intel International Science and Engineering Fair (ISEF) in Pittsburgh, Pennsylvania alongside over 1,800 high school students from 75 countries, regions, and territories. After becoming a finalist in the 2017 BHP Billiton Foundation Science and Engineering Awards for her research into the commercial viability of bioplastics, she decided to refine her research and worked with a CSIRO mentor to develop a completely biodegradable plastic made from prawn shell and sticky protein from the silk of silkworms. It was this research that won her the Innovator to Market Award in the 2018 BHP Billiton Foundation Science and Engineering Awards, a partnership between the BHP Billiton Foundation, CSIRO and the Australian Science Teachers Association. Angelina said her project was inspired by being asked to pay for a plastic bag at a shop which prompted her to think of a way people could still have the convenience of plastic, without the harmful environmental effects. "I'm driven by wanting to help – whether it's people, the environment or animals. It was amazing after months of research that I found a plastic that was suitable," she said. "I was always a curious child asking why things work and this developed into a love of science. I believe science is the key to all the worlds' mysteries. "I couldn't imagine a future where it isn't part of my life. I think I'd like to go into medicine as it is all about helping people." Angelina will be in good company at ISEF with 2018 BHP Billiton Foundation Science and Engineering Awards student finalists Caitlin Roberts, Kavinya Welikala, Ella Cuthbert, Cassandra Dods, Ashley Cain and teacher winner Adele Hudson also representing Australia at the fair. All of their projects will be on show at the competition. CSIRO Education and Outreach Director Mary Mulcahy said showcasing Australia's brilliant science, technology, engineering and mathematics projects on the world stage was a key part in enabling Australia to adapt for a rapidly changing future. "The world is changing faster than many of us can keep up with, but science, technology, engineering and maths (STEM) can guide that future through innovation," Ms Mulcahy said. "These students are showing on a world stage that Australian students are prepared more than ever for the future."